In my Victoria dental office, I see a lot of sleep apnea patients. Even though many have had a sleep study and often been given a CPAP, its surprising to me how little they have been educated on the subject. They understand that sleep apnea is unhealthy and that they may be tired, but usually very little beyond that. There are 3 categories of sleep apnea recognized: Mild, Moderate and Severe. Just because a patient has mild apnea does not mean that they are not at risk for serous health consequences. In fact, the category just before mild is called Upper Airway Resistance Syndrome. These patients can easily have the same symptoms of exhaustion and health consequences as the”apnea patients”. Even someone with diagnosed with “benign” loud snoring who does not have apnea is at risk of health consequences since studies have shown that the vibration from the snoring can cause damage to the carotid arteries in the neck. So, the take home message here is that any upper airway disorder should not be dismissed since they can cause negative life altering health consequences. And they are easy to treat with a CPAP or in my Victoria, TX dental office with a Mandibular Advancement Appliance. Lets talk a little bit more about the negative health consequences of not treating sleep apnea or undertreating it. A study from the Mayo Clinic that I reviewed recently discussed how sleep apnea is a risk factor for cardiac, neurologic and operative complications. It is more often than undiagnosed by the medical profession, hence the reason why these complications are so widespread. The most common health effect of sleep apnea that patients might be aware of is its effect on the heart. Resistant hypertension, that which isnt responding properly to medications is often a result of sleep apnea. Once the apnea is treated with a dental sleep apnea appliance, in my case, the hypertension typically lowers on its own. One study showed that cardiac events both fatal and non are increased by nearly 3 times in those with untreated sleep apnea. The risk of afib and irregular heart rhythms are also increased 3 to 4 fold in untreated sleep apnea patients. 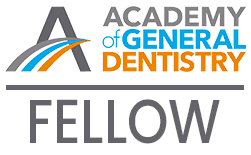 So there are numerous heart diseases that are a consequence of untreated sleep apnea, which underlies the importance getting treatment, such as a dental oral sleep apnea appliance. Untreated sleep apnea also appears to be a risk factor in insulin resistance and the development of diabetes. Two different independent studies showed this correlation. More is needed but sleep apnea is clearly a player in possible diabetes etiology. The operatory implications of untreated sleep apnea have to do with difficulties for the anesthesiologist with intubations and exaggerated respiratory responses to medications associated with surgery. Not enough studies have been done on this yet, but it is very clear that sleep apnea can have negative consequences on surgery, especially on the sedation part. Sleep apnea is very undiagnosed and as discussed, the negative health consequences are severe. Treating it is critical to health and well being. The first step is recognizing or screening for it. As dentists trained in sleep dentistry, I can see the signs in my patients mouths and in their morphology. Many of my previously diagnosed sleep apnea patients have had a CPAP administered. Some wear it, but many have become frustrated with it and have stopped the CPAP and were unaware that there is a CPAP alternative, a dental device that treats sleep apnea. The American Academy of Sleep Medicine’s guideline for CPAP success is a patient wearing it 4 hours a night for 4 nights per week. I’ll let you draw your own conclusion as to why the bar is set at that seemingly low level to declare success. 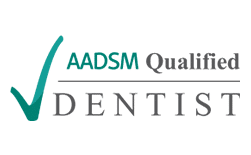 The low adherence level to CPAP is another reason why we need to increase patient awareness of dentists trained in sleep dentistry who can treat their apnea with an oral sleep appliance. 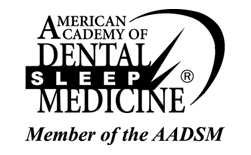 Look for a dentist who is a member of the Academy of Dental Sleep Medicine and has extensive training in dental sleep apnea treatment. 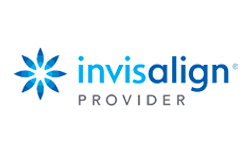 If you are near Victoria, TX I would more that glad to help you with you dental sleep apnea needs.